Jellybean is a clumsy dragon. As a matter of fact, all dragons are clumsy. 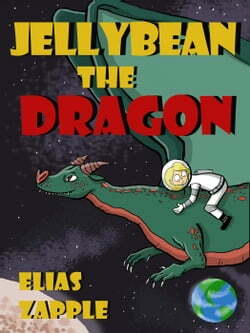 So when Jellybean falls from the sky and lands in front of Emma, a 10 year-old astronaut, naturally a series of calamitous events occur forcing Emma to eventually leave her land and meet more clumsy dragons. However, Emma... read more soon learns to live with Jellybean and experience a whole new and exciting life as well as improve her vocabulary!